The Grammy-nominated artist returns to Australia more than three years on from sold-out performances in Perth and across the East Coast of Australia that left audiences yearning for more. With a transformative live show, monstrous vocals and swelling harmonies, Hozier is a performer of the highest calibre, revered the world over. When you put together three brilliant Tenor voices with natural Irish charm, singing spine-tingling Classical, Folk, Irish, Gaelic and Pop favourites in stacked three-part harmonies, then mix them up with quick witted banter, you have the CELTIC TENORS. It’s all about the music, the harmonies and the fun. Three unique solo voices, but when called upon – one tenor sound! The Celtic Tenors will perform The Irish Songbook on their Australian tour with such classics as Finnegan’s Wake, In The Gloaming, Song For Ireland, Danny Boy, The Dutchman, Caledonia, you Raise Me Up and many more favourites. With a polished international reputation and just over a million album sales world-wide, the Celtic Tenors offer something truly unique. The skill, range and ability of world-class tenors combined with the personality and fun of genuine Irish performers. The Dinner will provide an opportunity to reflect on and celebrate the achievements of the Fund and our vision for the future. Twelve hours of live entertainment from 12:30pm at the Celtic Club’s temporary home. 42 Courtney St, North Melbourne. 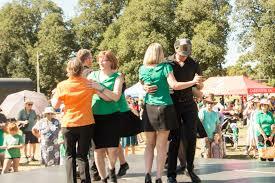 The Melbourne Irish Festival is an annual family fun day open to all, celebrating Irish culture and heritage. This year it is held on Sunday 17th of March, St Patrick's Day! We want to create the opportunity to come together as a community, to celebrate Irish culture, to reflect the true nature of a diverse and modern Irish community and its contribution to the fabric of Australian Society today. 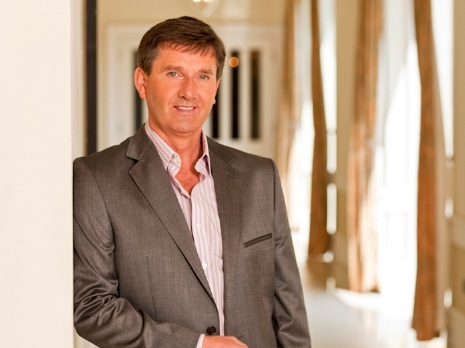 Ireland's most popular "easy listening" entertainer returns to Australia in 2019. A native of Kincasslagh, Co. Donegal, Daniel's concert appearances have taken him from London's Royal Albert Hall and Dublin's Point Depot to New York's Carnegie Hall and Sydney's Opera House, but he still continues to set himself fresh ambitions and new worlds to conquer. Beloved Irish singer-songwriter, Damien Rice, returns to Australia in February, for the first time in over 10-years. He will bring his acclaimed songbook, including iconic songs The Blower’s Daughter’ and ‘9 Crimes’ to intimate venues around the country in February. Comhaltas Melbourne are into its 49th year since the Branch was first founded in 1970 We return Wednesday January 23rd to A New Year of music sessions / classes, set dancing & sing song nights plus our regular events through the year & performing at festivals. Our set dance weekend this year in May All sharing our Irish Culture. First night back '' An Australian Theme Night '' BBQ BYO drinks, Instruments dancing shoes & voice ready. Everyone welcome $6 adults children free. An informal end of year networking opportunity with fellow members and friends. Bring your business cards and a smile! Bring yourself (and a colleague), a positive outlook and your business cards. There will be a drink on arrival for guests, some finger food and lots of opportunity! If you're a full member of the Chamber and still have free passes as part of your membership renewal that you'd like to use for this event, please just email Lisa to reserve places for you (and your guests too if you've got passes available). After selling out their Sydney St Patricks Day pop up show in under 48 hours, and performing sold out shows across the country in 2017, one of Ireland’s biggest bands today return to Australia in November. The Coronas are currently reaching new heights across the world performing huge stadium shows in their native Ireland, supporting one of Norway’s hottest acts Dagny on her Norwegian tour, playing some of the biggest festivals on the planet, and having four double platinum albums and numerous top 10 singles under their belt. The Limerick band has seen massive success over the past year, including the release of their new EP Gold & Rust featuring the lead, chart topping single Lions Share. This acoustic folk rock band has successfully built a dedicated legion of fans across the globe thanks to their captivating and unforgettable live sets. Playing gigs in South Africa, Australia, United States, Canada, Dubai, France, London and of course Ireland, they have had the opportunities to play on stage with the likes of Gavin James, Josh Ritter, Walking On Cars, The Pogues and The Trews. Their unique arrangement of instruments includes the bodhrán, djembe, rhythmic guitar and banjo sets them apart as a truly original offering of Irish music. 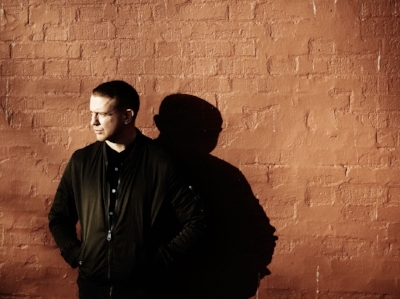 After multiple sell out shows across Australia in recent years, Damien Dempsey returns with his full band in November to play Sydney Irish Festival as well as some headline shows. Dempsey’s voice is all Dublin, yet wholly distinctive. It’s almost clichéd to say it, but he is part of a rich bloodline of Irish singers from Luke Kelly to Ronnie Drew, Christy Moore to Andy Irvine. 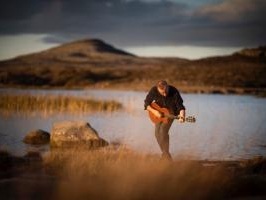 To describe Damien Dempsey’s music to someone who hasn’t yet been exposed to it would be to take some reggae, fuse it with traditional Irish music, add in rock and folk and put it all through a grounded working class worldly aware yet caring consciousness, and you’re some bit of the way there. The International Commemoration of the Great Irish Famine will take place at 2.30pm at the Williamstown Famine Rock, Burgoyne Reserve, The Strand, on Sunday, October 28. Everyone is welcome. Minister of State and Limerick TD Patrick O’Donovan will represent the Irish Government at the event and will be the guest speaker. At 5pm that day there will be a roundtable discussion at Williamstown Town Hall on the ‘Famine and Irish Australia’. A panel of academics - Professor Elizabeth Malcolm, Associate Professor Dianne Hall, Dr Fidelma Breen and Dr Val Noone - will discuss questions such as what impact did the Famine have on Irish Australia. MC - Prof Ronan McDonald. Tea and coffee from 4.30pm. The Irish Australian Chamber of Commerce (IACC) annual Spring Racing corporate lunch in Melbourne, on the eve of the Cox Plate. Featuring industry experts, tipsters and representatives from the international stables taking part in Melbourne's Spring Racing Carnival. 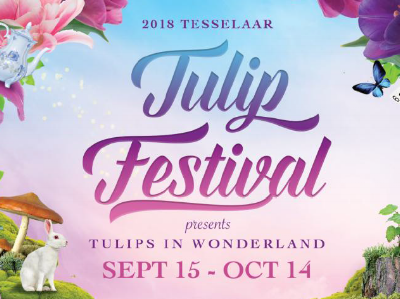 Enjoy an adventure in a wonderland of spring flowers at the 2018 Tesselaar Tulip Festival held in Melbourne’s magical Dandenong Ranges from September 15 – October 14, 2018. Visitors will be grinning like Cheshire cats whilst they wander through the brilliant display of five acres of tulips. There is fun for all ages, including live entertainment, children’s activities, delicious local and international food and market stalls daily, all set to the stunning backdrop of a rainbow of 900,000 tulips in flower. Come for the craic and enjoy all day entertainment during Irish weekend (5 – 7 October). There will be Irish pipers and dancers, Celtic arts, Irish coffee and beers and a few loveable Leprechauns! The Irish Run the World Global 5K Fun Run is a series of charity fun runs in Brisbane, Sydney and Melbourne, and is part of a global event which takes place on the same day in 17 cities around the world. Starting in Brisbane, Australia, the Young Leaders will run a 5k in their respective cities before passing the "virtual baton" off to the next city. The Global 5K will conclude when the last Young Leader crosses the finish line in San Francisco! Our annual Infrastructure Lunch is a must for anyone involved in infrastructure, major projects and urban development. There's something for everyone involved at all stages of the process from funding and advisory to project management and delivery and subsequent operations. This year we welcome guest speaker the Hon Anthony Albanese MP, Shadow Minister for Infrastructure, Transport, Cities and Regional Development . 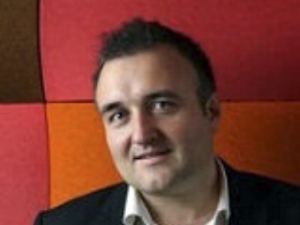 "In Conversation with Prof. Ronan McDonald". Do business and stimulate your Celtic soul at this edition of our “Connections” series, returning by popular demand to Buck Mulligan’s in Northcote – An Irish Whiskey Bar by night and Irish Specialty Bookshop and Cafe by day. Newly-appointed Gerry Higgins Chair in Irish Studies at The University of Melbourne, Professor Ronan McDonald, will be in conversation with Chamber President, Fergal Coleman exploring the Irish Australian identity. There will be a drink on arrival and some Irish Australian finger food, courtesy of Eamonn and his team at Buck's. Featuring the finest performers from the top Irish dance companies, Irish Celtic showcases thrilling and spectacular high energy dance routines with explosive rhythms and nail-biting precision. With their spectacular choreography and passionate music, including romantic theme tunes from Braveheart and Last of the Mohicans, they recreate scenes from throughout Celtic history. Escape with cold Melbourne winter weather and warm up with the Young Leaders for some carvery & craic! 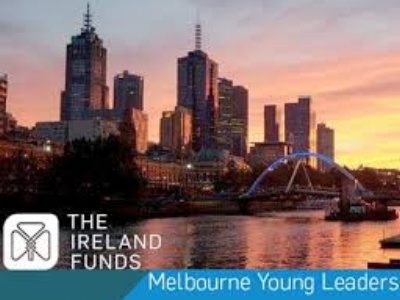 The Ireland Funds Australia would love you to join our Young Leaders for an afternoon at Ludlow Bar & Dining on Southbank for a Sunday Roast, a beverage, interesting Christmas fashion and great conversation. An adaptation for theatre of James Joyce's Oxen of the Sun which parodies the entire English Literary Tradition. The play also riffs on childbirth and fertility. It’s as far from political correctness as one can get, and sassier than what you’d hear just about anywhere else in the Classics! Join us on Monday 4 June as we celebrate 21 years of P.J. O'Brien's Southbank. Join in the Craic at P.J.O'Brien's, featuring some of PJ's favourite musicians, bring your instrument if you fancy joining in! $5 Guinness Pints from 6-7pm. With complimentary Canapes & Cake. Everyone welcome! The Lunch will provide an opportunity to reflect on and celebrate the achievements of the Fund and our vision for the future. Tickets on sale now for an amazing night in an amazing venue. Doors open at 7pm at the Plaza Ballroom of the Regent Theatre. 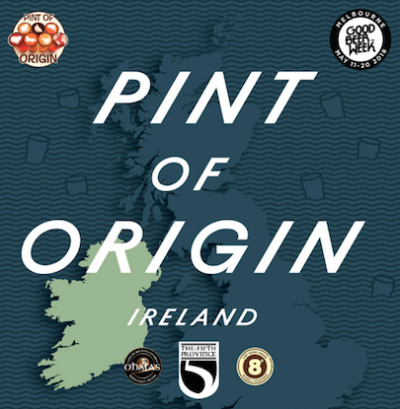 Pint of Origin - Ireland is at the Fifth Province for GBW18! After bringing new & exciting Irish craft beer to the masses over the last few Good Beer Weeks, it is time to take it to the next level. Over 8 draught beers from two of Ireland's leading craft breweries; O'Hara's & 8 Degrees. Expect Irish boilermakers, beery food & live music all week long! Darkness Into Light (DIL) is Pieta House’s flagship annual fundraising and awareness event. It started with approximately 400 people in the now iconic yellow DIL T-shirts walking the 5km course in Dublin’s Phoenix Park in 2009. This year, we will have roughly 180 DIL venues across Ireland and worldwide. Last year we had 180,000 people sharing the light and helping us to promote suicide prevention and to tackle the stigma that leads people to the doors of Pieta House centres. Please join us on Saturday 12th May this year! For a small country, Ireland has an immense literary heritage and international reputation. This lecture considers some political, social and cultural reasons why this is so. It reflects on the anomalous conditions in which Ireland grappled with modernity in the aftermath of the Great Famine. It assesses the cultural nationalism that led to the extraordinary flowering of the Irish Literary Revival, led by W.B. Yeats, not only in national terms but also enmeshed within wider European intellectual and cultural agendas. Free entry. Irish National Day will be held at Gaelic Park on the 8th April. There will be games, Irish music, Irish food & plenty of activities for the kids.